Born in the litlle community of Sciacca in Sicily, Italy, as the son of a fisherman, Filippo Bentivegna (1888-1967) as a young man couldn't find work in Italy, and so, like many other young Italians, in 1912 he migrated to the United States. Where he stayed in the US is not very clear. One source says he was in Chicago, being employed by a company that constructed railroads. Another source says he stayed in Boston and worked in the harbour. This is probably correct, because Bentivegna had family over there (nowadays members of the Bentivegna family still live in Boston, according to Facebook messages). The story is that he had a love affair, that (for him) ended in a traumatic experience. He probably courted a young lady, the daughter of an important man in town, who thought Filippo was no party and "teached him a lesson". i.e. attacked physically. But it might also be that Filippo had an accident on the wharf were he worked. The accident or whatever it was, may have caused mental problems. 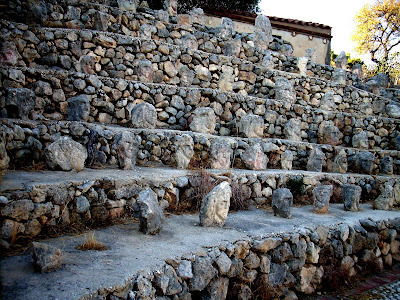 Anyhow, it was the end of the american adventure, and after WWI, in 1919, Filippo returned to his hometown Sciacca. Since he had fled his military service in Italy, he was convicted to some years in prison, but this was not affected, because at the same time he also was declared to be insane. Probably because he had saved some money from what he had earned in the U.S., Filippo Bentivegna was able to buy a plot of land in Sciacca, where he settled in a small cabin. While cleaning the terrain from the many rocks which were dispersed on the plot, he got the idea to carve them into impersonations of people. 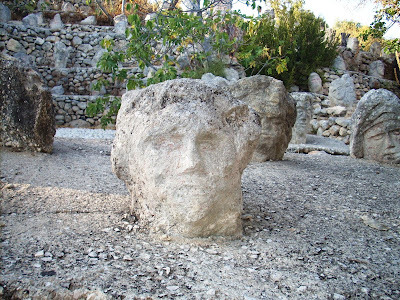 Carving heads into the limestone rocks would become a project he has been doing the rest of his life, ultimately producing some three thousand of these heads. When asked why he made these sculptures, Bentivegna would answer that he did this just for himself, without any intention of selling them. 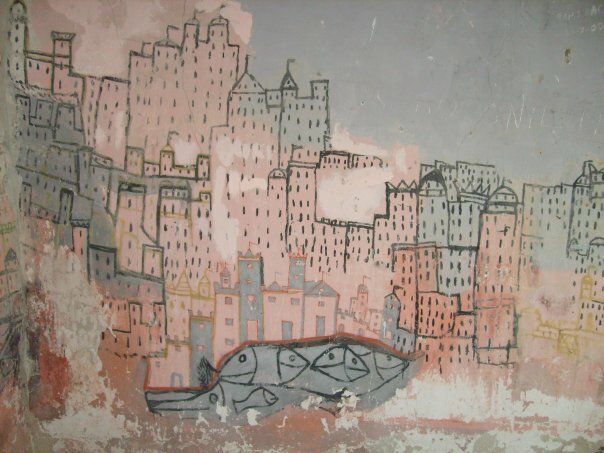 Bentivegna also made frescoes on the wall of a cabin in the garden with memories of his stay in the US, urban scenes with skyscrapers, creations that nowadays are considered as art brut. 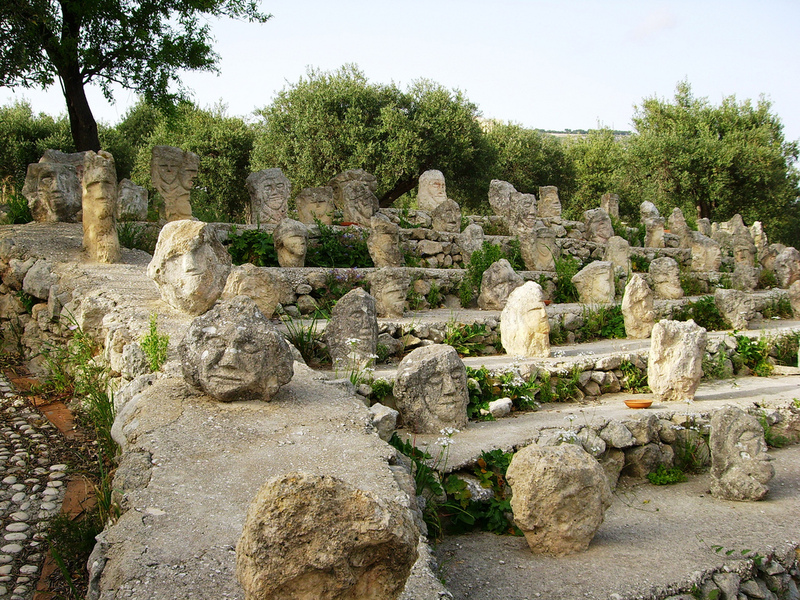 The people of Sciacca called him Filippo delli testi, he was mostly ridiculed and probably his behaviour in public was somewhat eccentric indeed. Following his death in 1967, the site was left unattended for, although some members of the family would allow visitors to look around after paying a small entrance fee. 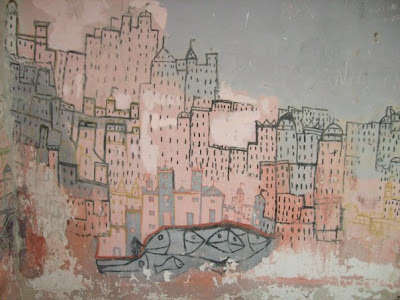 In 1971 Gabriele Stocchi from Rome, an acquaintance of Jean Dubuffet, when on a study tour in Sicily, paid a visit to Bentivegna's art environment. He contacted Dubuffet and it was agreed that Stocchi would buy a number of creations for Dubuffet's outsider art collection. End 1971 some ten creations were sent to Dubuffet, which currently are part of the Collection d'Art Brut in Lausanne, Switzerland (More about this in a contribution by Lucienne Peiry to a 2015 conference about Bentivegna). The sculpture garden gradually became better appreciated and in 1974 the government of Sicily bought the site and also implemented a (rather unfaithful) restoration. Currently the Enchanted Castle is a well known outsider art environment, which has become a tourist attraction.